At Prism Embroidery we don’t believe in copyright infringement which is why all Icom DX Covers radio dust covers have copyright approval to use the manufacturer’s logos. 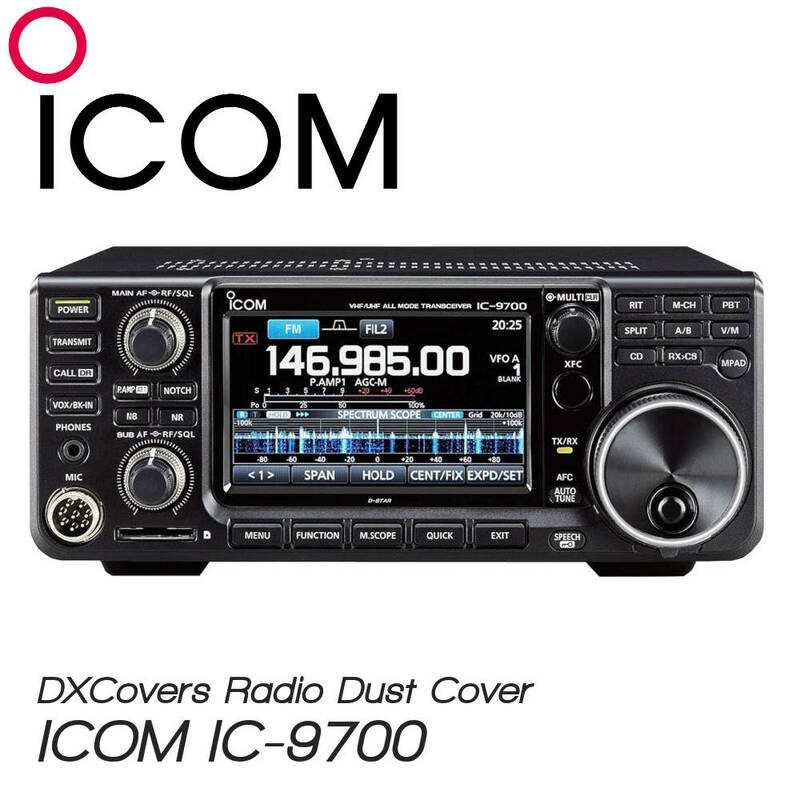 DX Covers Icom IC-9700 radio dust cover. The unit is manufactured from leatherette with a soft felt lining. The back of the cover is left open so all cables can remain plugged in. The front of the cover is embroidered with the Icom logo and model number. All of our covers have their respective manufacturer’s approval to use the copyrighted branding. Our radio dust cover is also available to cover both the IC-9700 and SP-38 in one continuous cover. On the front panel of this cover will be the Icom logo and IC-9700 embroidered. Please select from the drop down menu which version you would like, or if you have any questions please do not hesitate to contact us. Please select the radio cover you require.